Diagnoses issues with the Apple Remote. Is there a better alternative to Remote Control Diagnostics? Is Remote Control Diagnostics really the best app in System category? 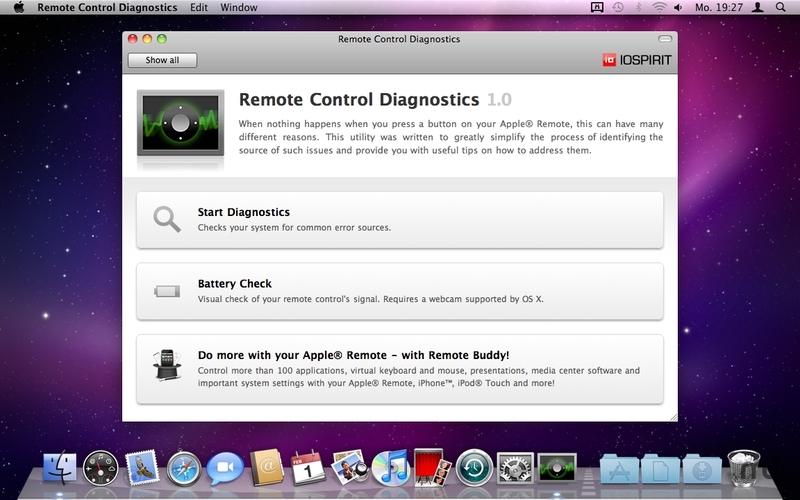 Will Remote Control Diagnostics work good on macOS 10.13.4? Remote Control Diagnostics helps you identify the source of issues where, when you press a button on your Apple Remote, nothing happens. Diagnostics - checks your system for common error sources and provides results in issue/potential issue/informal categories. Remote Control Diagnostics needs a review. Be the first to review this app and get the discussion started! Remote Control Diagnostics needs a rating. Be the first to rate this app and get the discussion started!